The 2019 KIA Sorento and the 2019 Subaru Ascent are both well designed SUVs. But which one of these vehicles are best for you and your family? To help you make the right decision, Carriage KIA has put together this comparison review of both the 2019 KIA Sorento and the 2019 Subaru Ascent. This review will look at both vehicles in three categories important to the SUV buyer. In this review, we will start with the overall features available in both vehicles. Next, we will take a look at the performance numbers of the two SUVs. Finally, we will take an all-important look at the safety features of both the 2019 KIA Sorento and the 2019 Subaru Ascent. The 2019 KIA Sorento offers the following key features: Body-Color & Heated Outside Mirrors with LED Turn Signal Indicators, Solar Control Glass, rear spoiler, UVO play w/ 7.0 inch Touch-Screen Display, 6 speakers, rear-camera display and Bluetooth® Wireless Technology Hands-Free Connectivity. The 2019 Subaru Ascent offers the following key features: Power rear gate, panoramic moon roof, raised roof rails, Wi-Fi connectivity, 8 USB ports, and second row captain’s chairs. Overall, the 2019 KIA Sorento offers more advanced and comfort features than the 2019 Subaru Ascent. Capable power is important when it comes to family crossovers. For 2019, both the KIA Sorento and the Subaru Ascent offers some serious engine options. 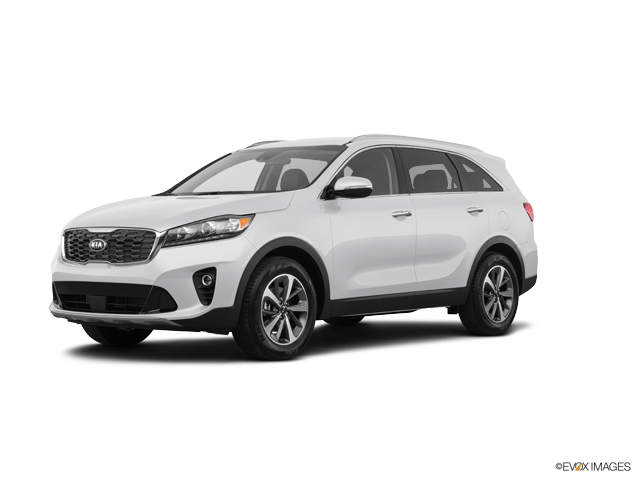 The 2019 KIA Sorento comes with a standard 2.4 liter DOHC 16-valve inline 4-cylinder engine that offers up to 185 horsepower and 178 foot-pounds of torque. There is also an optional 3.3 liter DOHC 24-valve V-6 engine that offers up to 290 horsepower and 252 foot-pounds of torque. The 2019 Subaru Ascent comes standard with a Direct-Injection Turbocharged (DIT) SUBARU BOXER® engine that offers 260 horsepower and 277 foot-pounds of torque. Overall, the 2019 KIA Sorento offers a more powerful top-of-the-line engine than the 2019 Subaru Ascent. At Carriage KIA, we consider each one of our customers to be like a member of our own family. That’s why we place such an emphasis on safety. In this final category, we will look at the safety features of each SUV. The 2019 KIA Sorento offers the following safety features: Dual front, seat-mounted and side air curtain air bags, Rollover Sensor, Anti-Lock Braking System (ABS), 4-Wheel Disc Brakes, Vehicle Stability Management (VSM), Electronic Stability Control (ESC), Traction Control System (TCS), Electronic Brake-Force Distribution (EBD), Hill Start Assist Control (HAC), and a Tire-Pressure Monitoring System (TPMS). Additionally, the 2019 KIA Sorento has been given a rare overall 5-star safety rating from the National Highway Traffic Safety Administration (NHTSA). The 2019 Subaru Ascent offers the following safety features: Blind-Spot Detection, Rear Cross-Traffic Alert, Smart Rear-View Mirror, LED Steering Responsive Headlights, Pre-Collision Braking and Advanced Automatic Collision Notification. Overall, both SUVs offer an impressive suite of safety features. However, the KIA Sorento stands out with its advanced active and passive safety features and its overall 5-star safety rating from the NHTSA. Carriage KIA invites you to test drive the 2019 KIA Sorento and see how it compares against the 2019 Subaru Ascent. Our customer sales team places the utmost importance on your long-term satisfaction. And they will be more than happy to answer any questions you may have about the 2019 KIA Sorento.